Encourage colour mixing with this individual large mixing palette. With three large and seven small wells, this will encourage students to experiment with a variety of colours and tones in their work. 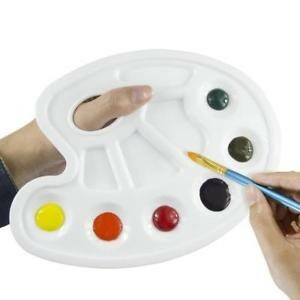 Large Colour Mixing Paint Palette Encourage colour mixing with this individual large mixing palette. With three large and seven small wells, this will encourage students to experiment with a variety of colours and tones in their work.